Let me tell you, it wasn’t easy. I feel like I pulled out all the stops to change this boy’s perspective on swim class. But, for now, it worked. 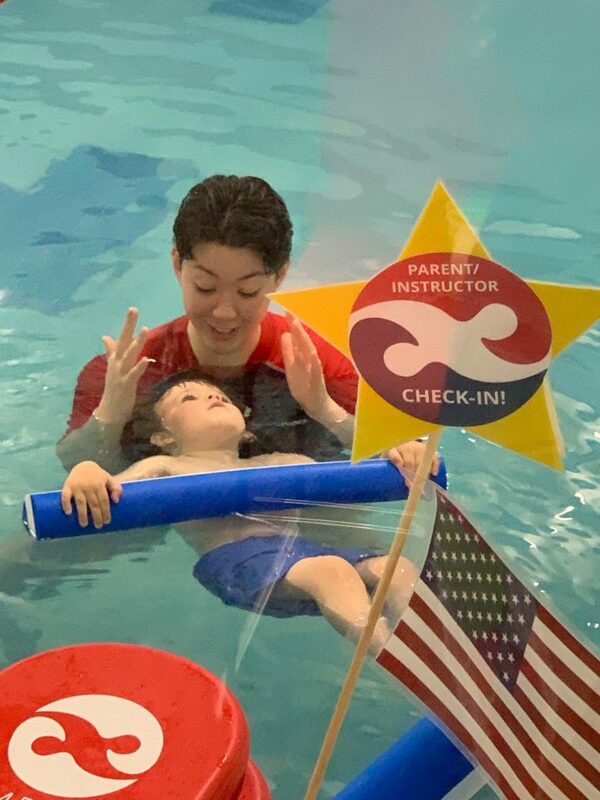 I took the following steps leading up to last week’s swim class, and tried to document them below so that it can be helpful for any situation where your toddler is resisting: school, dance class, birthday party, summer camp, etc. Do you want to swim with your goggles or without them? Which color jelly beans do you want after class? Which towel should we bring? The blue one or the dinosaur one? What snack do you want? Goldfish or Pirate’s Booty? Look at you floating all by yourself! That’s awesome Keener! Remember when the slide at the park was scary at first? 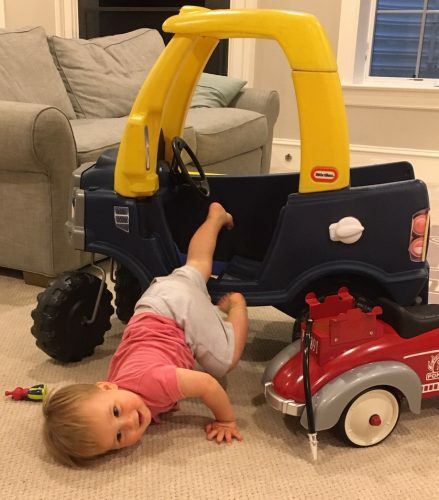 Then you tried it and had so much fun! Sometimes things feel scary at first and then you realize you like it. 5. Read books together that highlight feelings or activities your child can relate to (I truly believe in the products I write about, however, the links below are Amazon affiliate links.). Over the last week we read Llama Llama Misses Mama several times, and I highlighted certain aspects of the book for Keener. At first, Llama Llama missed his mama and didn’t like school. Then he remembered, Mama always comes back! Then, he loved school and had so much fun with his friends and teacher. That’s kind of like you with swimming! At first you didn’t know your friends and teachers and now you do and you love swimming! Even more on point, Jabari Jumps is a great book about overcoming fear, and is swimming related. At first, Jabari was scared of the diving board. But he finds the courage throughout the book to overcome his fear. Highlight the similarities between the character and your child (how they felt before, the process to overcome scary things, being brave, how they felt after, etc.). Books are a wonderful way to ‘learn’ alongside the character. 6. Give your child the language to use to talk positively about the undesired activity (even if it isn’t quite true, yet). For example on the way to swimming, I would say the following: At first I felt sad at swimming, but now I really like it! The toys are so much fun to play with and my teacher helps me. Mention, with mild excitement, that the event is happening soon. Be prepared to be met with “But I don’t like _________.” Do your absolute best not to overreact. Respond calmly. I know you are feeling a little scared/sad/nervous. It’s ok to feel that way. Swim class is on Wednesday. Your teacher can’t wait to see you! Do you think all of your friends will be there? I hope no one is sick! Don’t talk about it too often or bring it up during a challenging time such as when your child is tired or in the middle of an emotional moment about something else. Look at the pictures on your phone together during a playful time. Let’s look at the pictures I took of you in swimming last week! Be ready to lead the conversation, but also give enough space to listen. You may learn more about why your child is resisting. 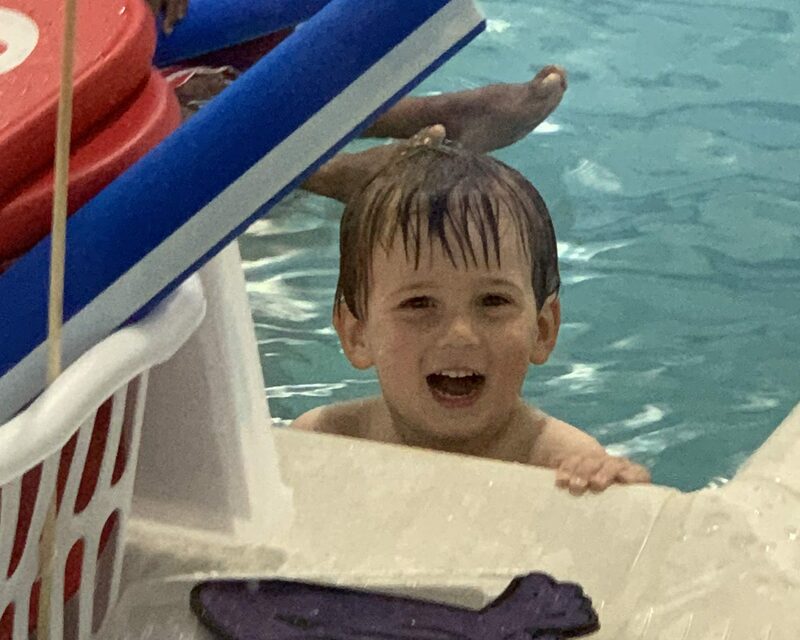 When Keener starts to whine about not wanting to go to swim class, I am careful not to give him too much attention at that moment. I am happy to give him attention, but not for whining. I remind him to use his “big boy voice” to communicate his needs. I printed out the pictures that we had been looking at on my phone and added a few captions. That way, he could look at the pictures anytime he wanted to and we could read the book together. 10. 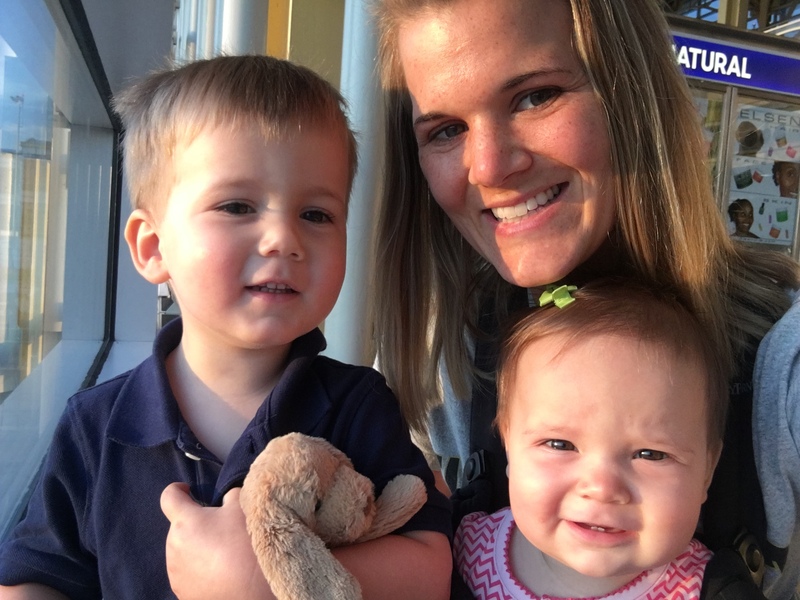 Have the confidence to know that you are doing what is best for your child. I want Keener to learn how to swim, and I know that new experiences are good for him. 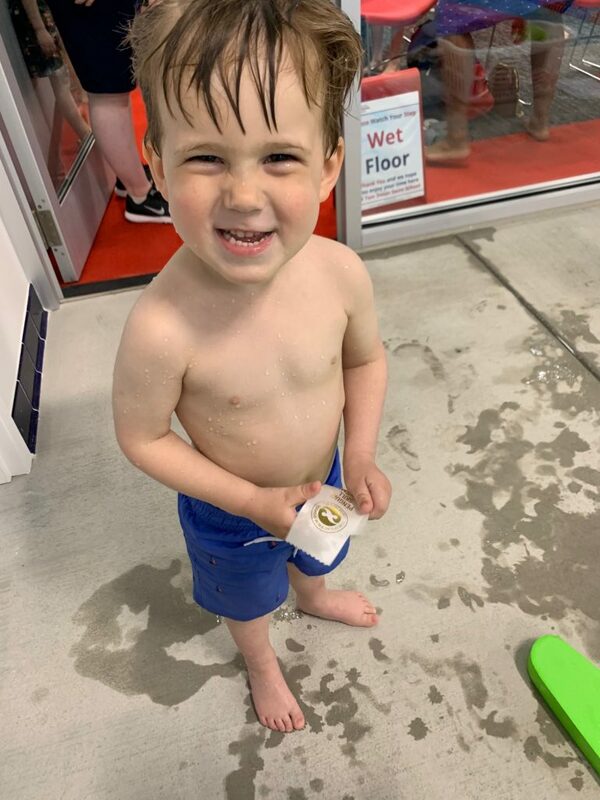 But at almost 3, I don’t expect him to say “Hey mom, thanks so much for these swim lessons and teaching me to be brave!” Trust your gut and follow through.